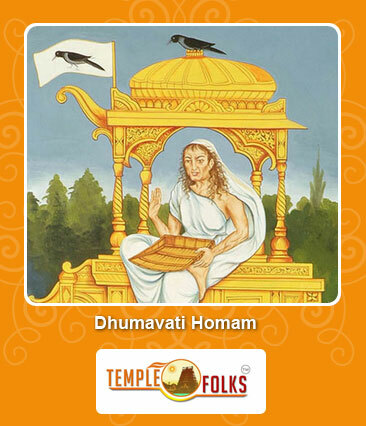 Goddess Dhumavati is one among the manifestation of Goddess Parvathi the ten aspects of DasaMahavidyas. She is depicted as a old and unattractive (Ugly) image who is connected with the unlucky things in life. As per Vedic Scripture goddess Dhumavati acquires super natural power which indeed helps her devotees to achieve great knowledge and helps to stay away from negative effects. The individual those who perform this dhumavati homam will helps to get relief from malefic impact of planet (Ketu) in their horoscope. Perfoming this homam with complete dedication and belief helps to remove completely the major and sub period of the Ketu planet.Any sorts of misfortunes in life can be evacuated completely after performing this homam. By performing this homam helps to get relief from evil effects in life. 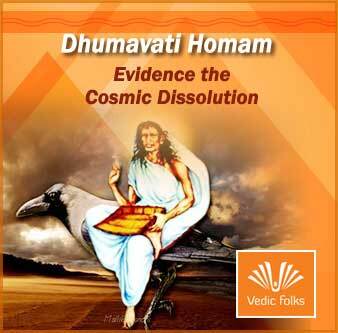 Dhumavati homam helps to completely evacuate any kind of sadness and mishaps happen from one?s life. Performing this homam provide a power to fight against any sorts of troubles or obstacles in life. Furthermore dhumavati homam helps an individual to get relieve from widowhood problems. 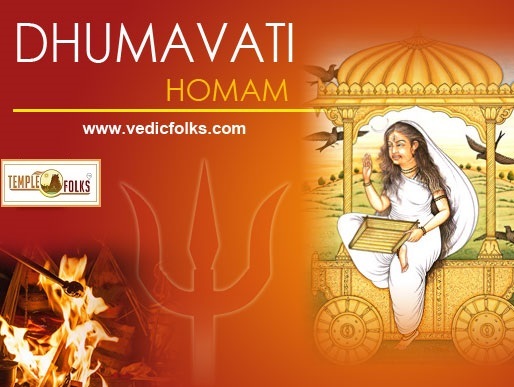 To get all the bounties and experience the enormous integrity of Dhumavati Homam (fire customs or lab), you can get the assistance of our accomplished Vedic Purohits (intellectuals) at Vedicfolks.com on the web.